Heres some photos of the Testors Cosmic Wind from mid 70's that Cox later ended up with? 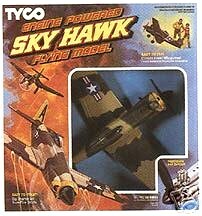 ...and the only Plastic model sold by TYCO! Last December i had meet Ernie Pettit, former VP at Testors. 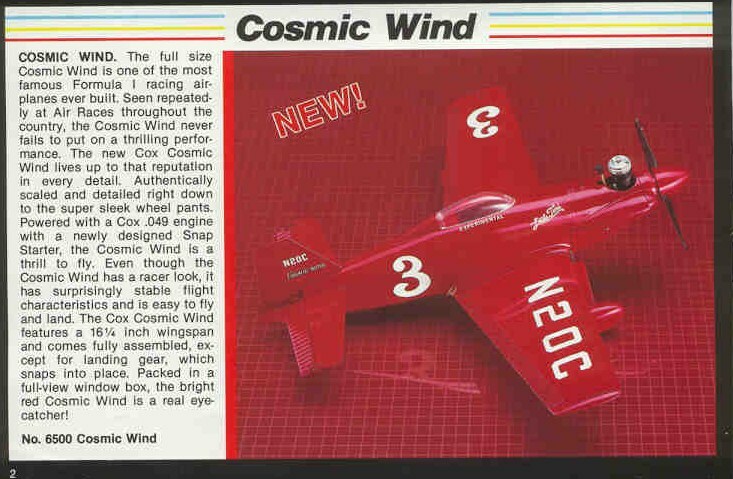 One of the questions I ask him was: "How did Cox end up with the Testors Cosmic wind model?" The answer was pretty simple, but not what I thought. 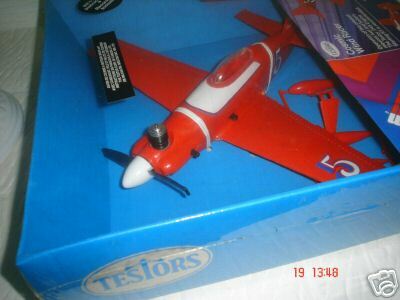 Testors sold off their gas powered line of toys to Tyco Corp. and then Tyco sold it to Cox, mystery solved! Now here's more info from part II of the video interview with Bill Netzeband the designer. Interesting. Maybe the mould was just passed around? Is it possible to modify a mold that much? cribbs74 wrote: Interesting. Maybe the mould was just passed around? It just kinda bugs me that Cox would stoop so low to buy/lease/rent a mold from Testors! This isn't the only time something like this had happened, after Comet went under the Tri Pacer ended up with Aurora powered by the Stallion .049 and their Se5a D-7, p-40 & p-51 as screw together plastic kits. 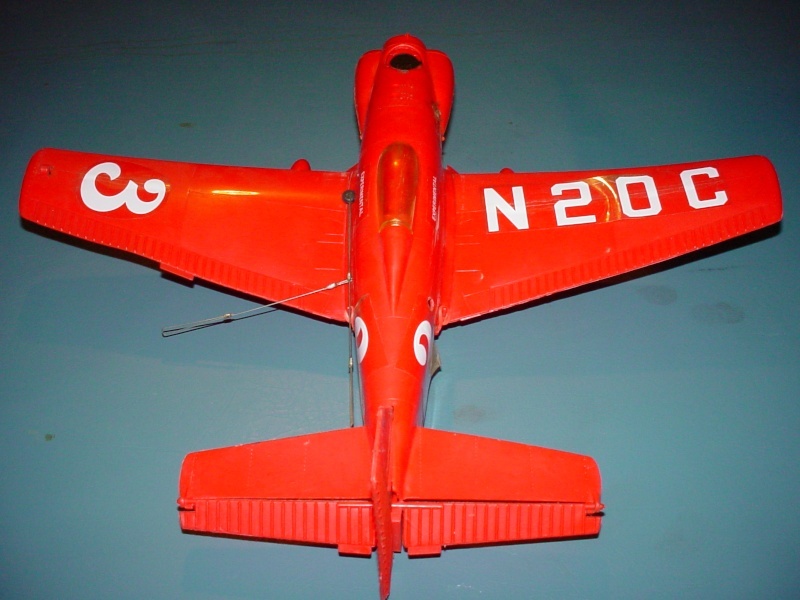 Its possible and was common to modify the mold of these planes over the years. Some of the Comet models went thru two, three, four different engine configurations. 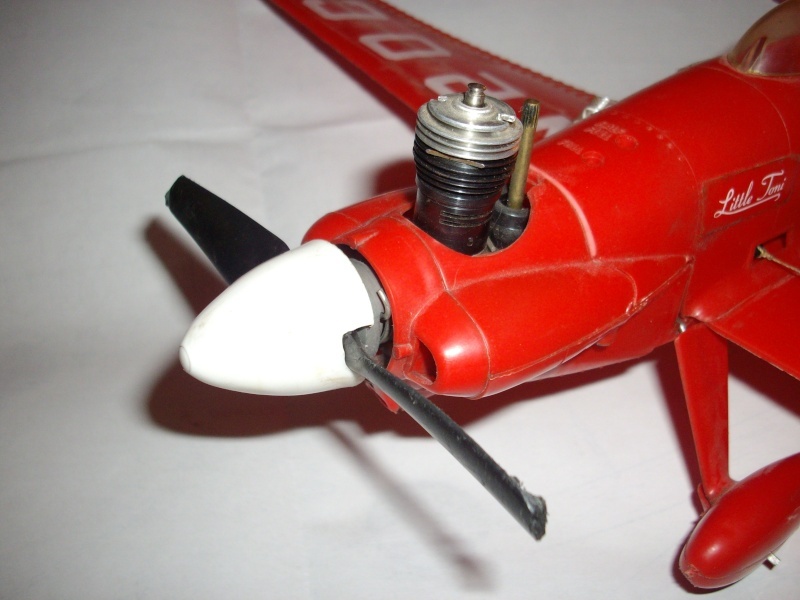 Here's one example, the Comet Regulas was latter re-introduced as a 'T38' with a cockpit added and the 'new' .059 Cub reedie with push button spring starter! 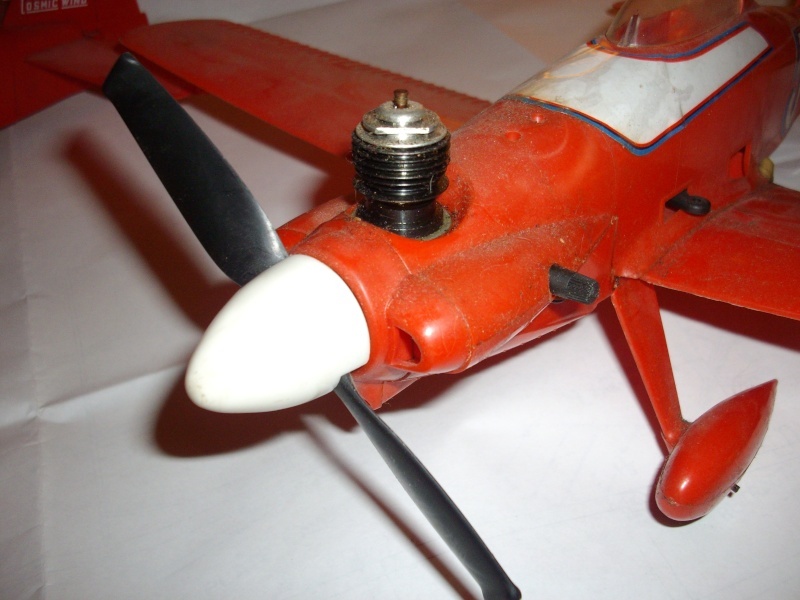 microflitedude wrote: Is it possible to modify a mold that much? Depends on the mold. Some injection forming molds have hundreds of pieces that fit together, including cavity sections, springs, sprues, ejectors, etc. This high of a number is more of an exception though. Wish it flew as good as it looks... I've still got the orig. red spinner and prop... was either a 5-2 or 5-4... but I have them both (with the spinner bracket on the props' hub) If it was designed (by Cox...) more to the size of the PT-19, it might have flown better. I'd love to build a built-up balsa version, maybe 22-24"/110-120 sq. and more elevator area. 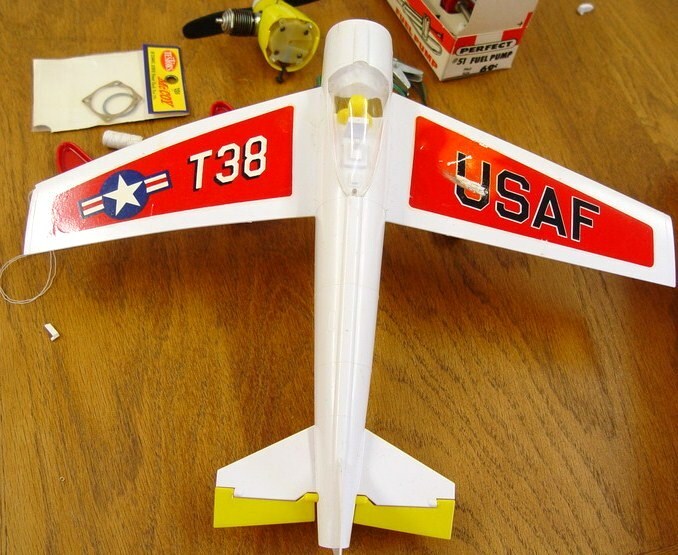 Brodak offers a profile balsa version with a built up wing if you wanted to save some time. Mark Boesen wrote: Heres some photos of the Testors Cosmic Wind from mid 70's that Cox later ended up with? Actually, the very first Testor Cosmic Wind (Testor's first mold created after acquisition of AMF Wen Mac) was about 40% larger (approx. 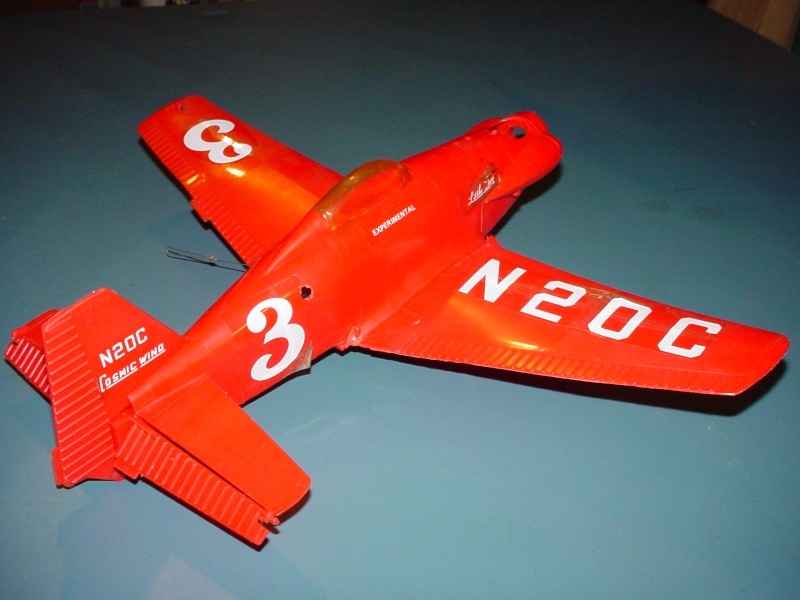 size of Cox PT-19 but somewhat heavier and with rubber band crash 'em and put 'em back together assembly) than the version under discussion. 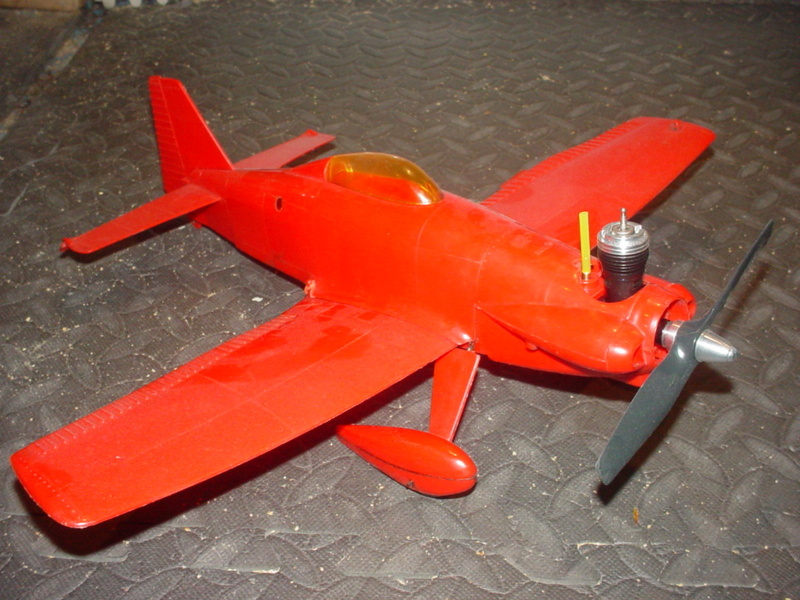 It was powered by an FRV Testor-Mac .049 and flew OK. Came in orange, white and metal plate versions. ticomareado wrote: Actually, the very first Testor Cosmic Wind (Testor's first mold created after acquisition of AMF Wen Mac) was about 40% larger (approx. size of Cox PT-19 but somewhat heavier and with rubber band crash 'em and put 'em back together assembly) than the version under discussion. It was powered by an FRV Testor-Mac .049 and flew OK. Came in orange, white and metal plate versions. Testors acquired Wen-Mac from AMF in 66/67, their first 'new' plane was the short lived Skyraider, the 'large' Cosmic Wind didn't come out for a couple more years. Bill touches on the first version briefly in second video. Yes.. Those YouTube/Stunt Hangar videos of the "Wild Bill Netzeband interviews I and II" history of his years with "Testors" are quite fascinating. 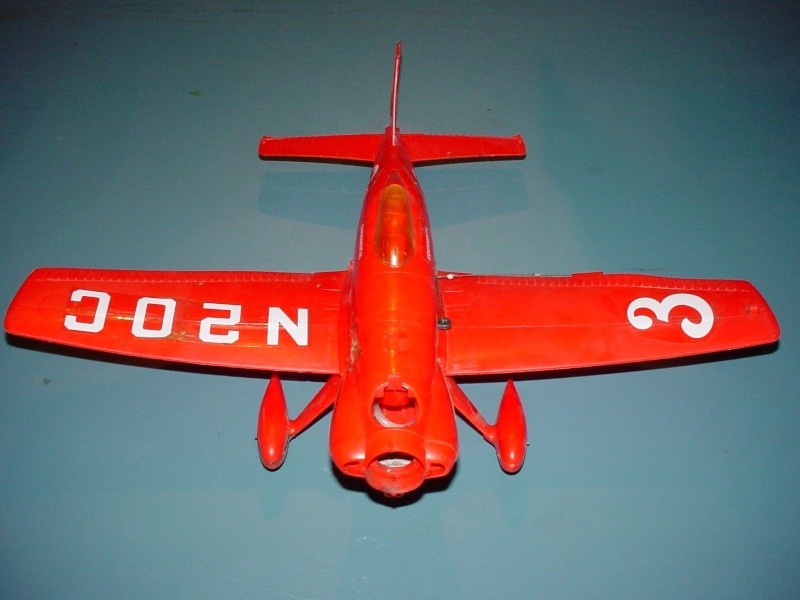 As previously noted; I have the smaller "Cox version" of this model. I am hard-pressed to fly it with the "ExModel Engine's" LYNX high-performance reed-valve prize-engine... which I won by "luck of the draw" through the CEF Engine of the Month contest a while back..
You have to admit; this airplane just screams; "give me a hot engine".. Can anyone tell me who "Little Tony" was? It may be a play on his name. I have no idea. Thanks Ron. 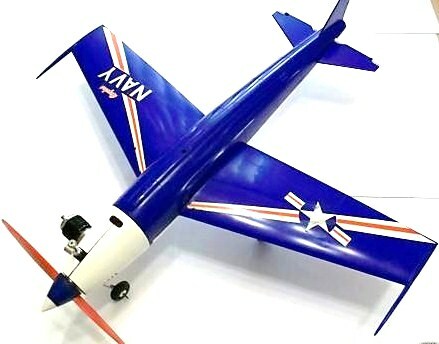 This would be a cool little model to fly again. I realize that it's somewhat "rare".. but it was designed for level "roundy-round" flight.. so there's less temptation to take it over the top of the circle for a stunt.